Now that my daughter is getting older I have been daydreaming of her bigger girl room. Her room was never a baby-baby room so it is working beautifully for us still. Aside of taking out the crib 3 years ago, the room looks exactly the same (she is almost 5). But I think in a few years we will have to make some updates and make it into a bigger girl room. Maybe get another twin bed for her future pajama parties and just make it a little more sophisticated overall. 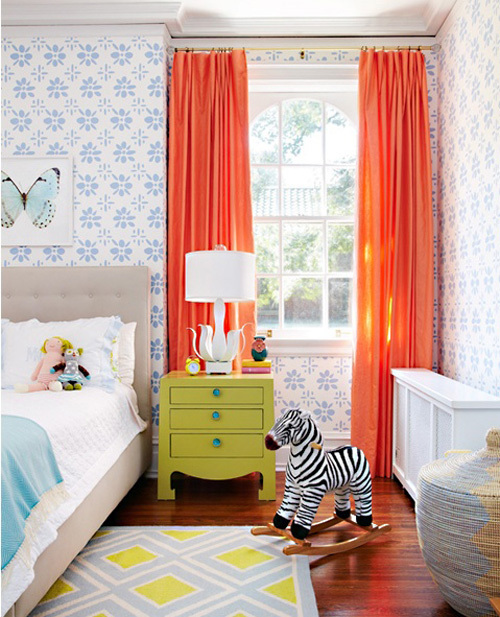 Here are a few images that have me inspired and daydreaming of what her room could look like. 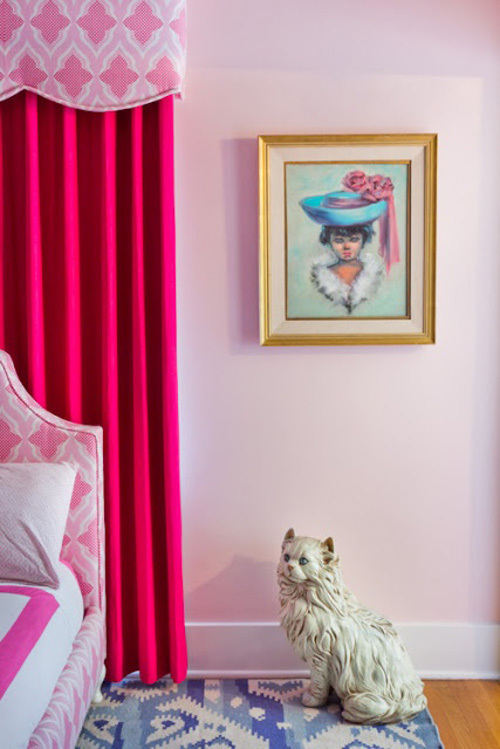 I love how all these rooms have sophisticated fabrics ( HELLO gorgeous Designers Guild upholstered headboard in the first photo!) used in playful and fresh ways exactly appropriate for older girls, yet sweet enough to not be be too grown-up. They are perfect in-between rooms. What do you think? Such pretty rooms! Even i wouldn't mind living in one of them! Have a wonderful Wednesday! Oh how fun! 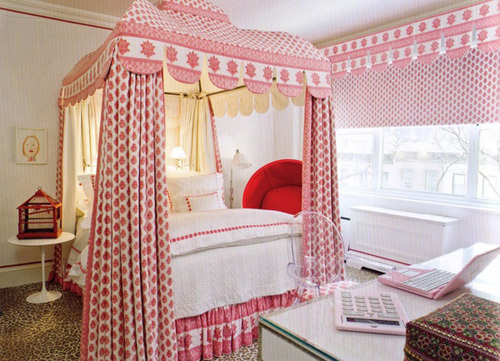 I love that top room, I think it's perfect for a stylish little girl! really nice decor, I found your blog on pinterest. Love the room Jenny did! I cannot wait until we move and I can get started on a new room for my little girl. 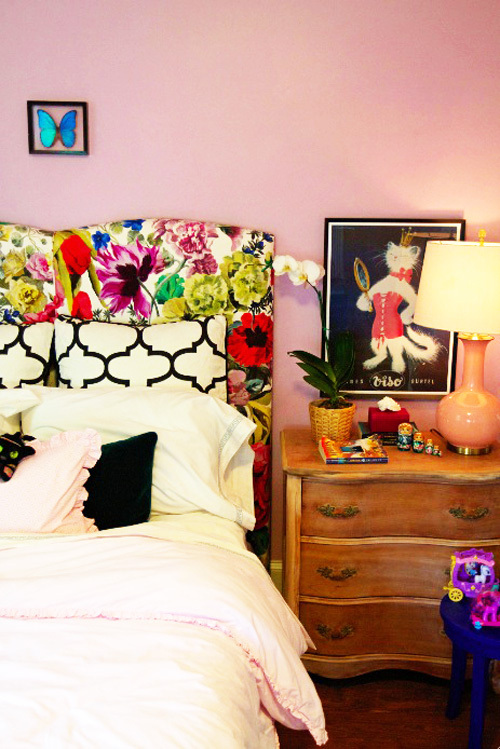 Love that floral headboard! 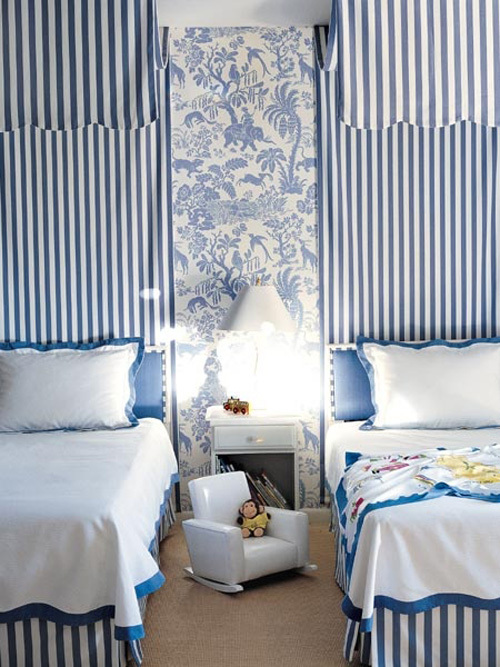 Did you upholster it yourself with fabric from Designers Guild? that headboard is from Jenny's blog here- http://www.myfavoriteandmybest.com/mfamb-home/2012/6/5/real-life-decorating-with-perks.html She had it profesionally done.